This easy diffuser master blend mimics the aroma of bubble gum and is a big hit with bubble gum lovers. Remember that this blend is to enjoy aromatically and not internally. Make sure that children and others do not ingest this blend. Combine all essential oils in a small glass bottle and create as a master diffuser blend. Add the appropriate number of drops of the master blend to your diffuser based on the manufacturer's guidelines. 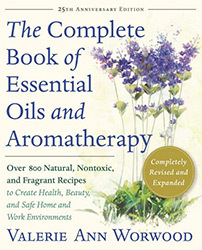 Follow safety precautions and learn about the specifics for each of these essential oils. Grapefruit essential oil is phototoxic, so this blend should not be used topically. Avoid diffusing this blend around babies and young children. These oils should not be ingested. Keep this and any essential oil blends/products out of the reach of children.